Boro is Japanese and means roughly rags. According to Japanese tradition it is usually clothing and bed covers made by the poor, rural population of Northern Japan. 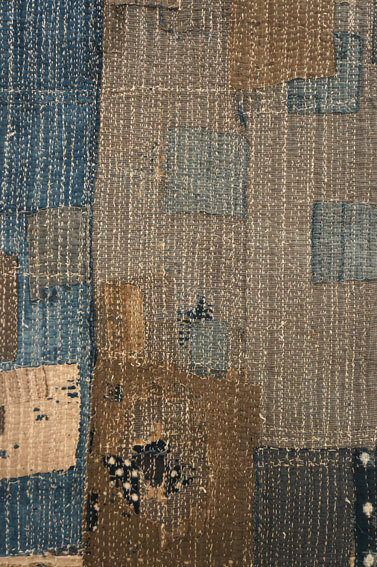 The textiles are patchwork of recycled pieces of cotton dyed in Indigo colour. 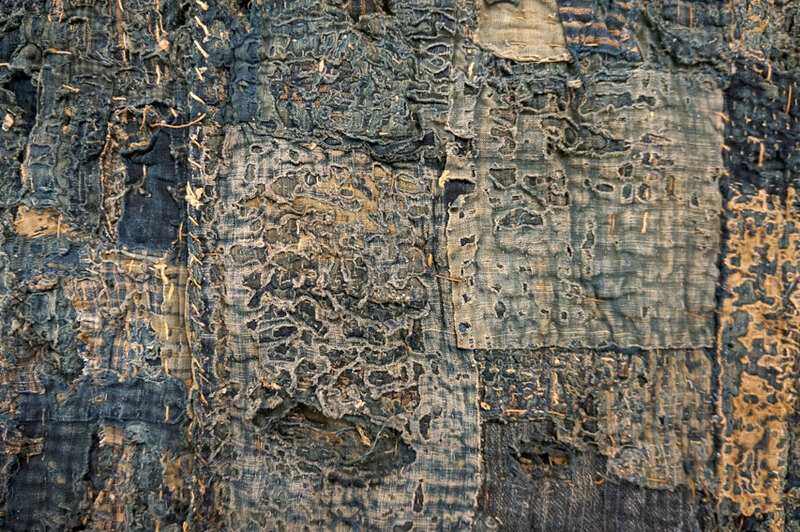 An exhibition at Somerset House presented an extremely rare collection of Boro textile art. 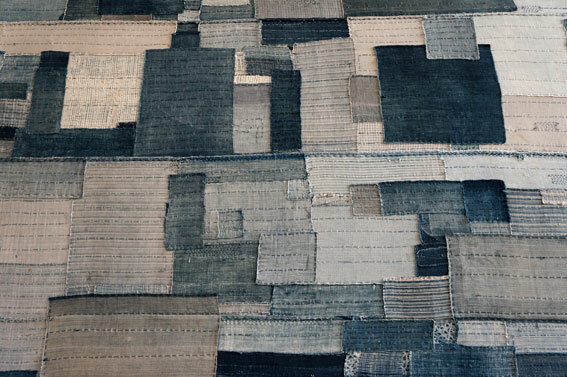 Never before have these kind of textiles been presented to a wider audience outside Japan. The detailing and quality of stitching art work is incredible. Each piece is unique, varying in colours, type of cotton and style of stitching from neat to very rough textures and finishes. These historical textiles has been passed on to generations and the attention to detailing in conservation and care is admirable. 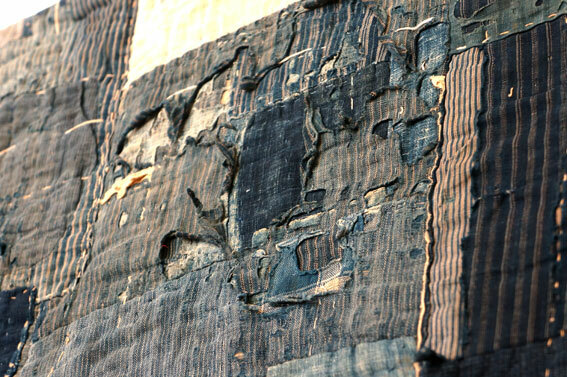 Slow aging and patina of the textiles is telling its own story.